Established in 1902, 3M is a science-based, global innovation company, producing literally thousands of products for both consumers and businesses, from ubiquitous brands like Post-it and Scotch Tape to more obscure things like compression wear or reflective tape for cars. 3M has nearly 90,000 employees in 70 countries and had global sales of $31.8 billion in 2014. You know, just your typical mom and pop operation. 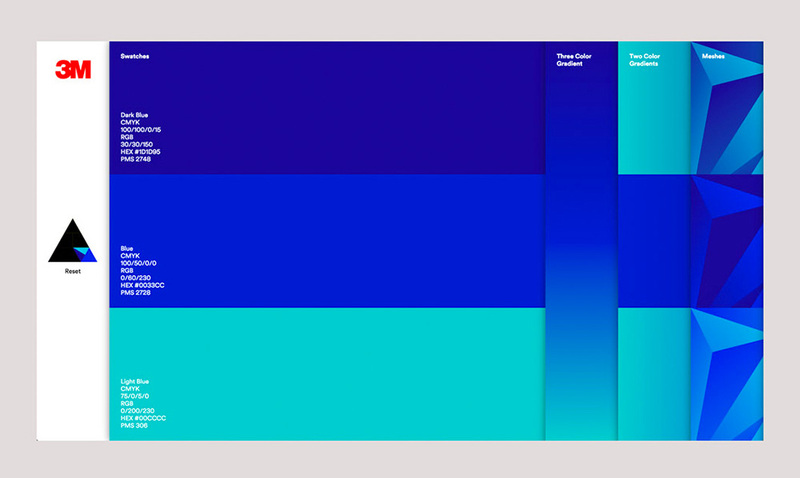 Through 2015 3M has been phasing in a new global identity — logo untouched — designed by Wolff Olins. It was clear to us all that the brand design system of a company so broad and diversified faced three main challenges. It was unduly dependent on the logo, powerfully iconic and noticeably ubiquitous. In addition, the system as a whole dated from a pre-digital era, lacking interactive tools to express brand essence with dynamic relevance and contemporary flair. Moreover, 3M as a company is constantly evolving, unlocking new solutions in diverse markets every day. 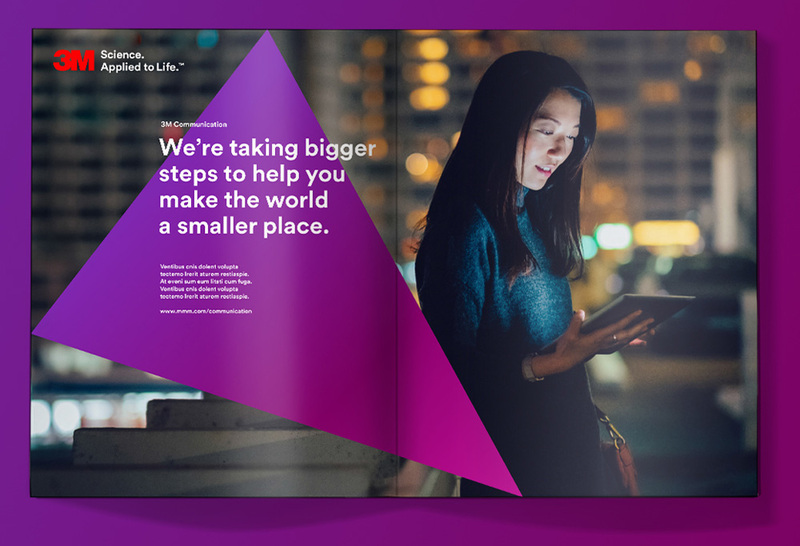 Long story short, 3M needed a smart brand design system for the 21st century that would be flexible enough to evolve and adapt to resonate with business partners and customers around the globe…from loyal customers to millennial recruits. The video above provides the best understanding of the new system. Give it a play, then we’ll go over the elements below. 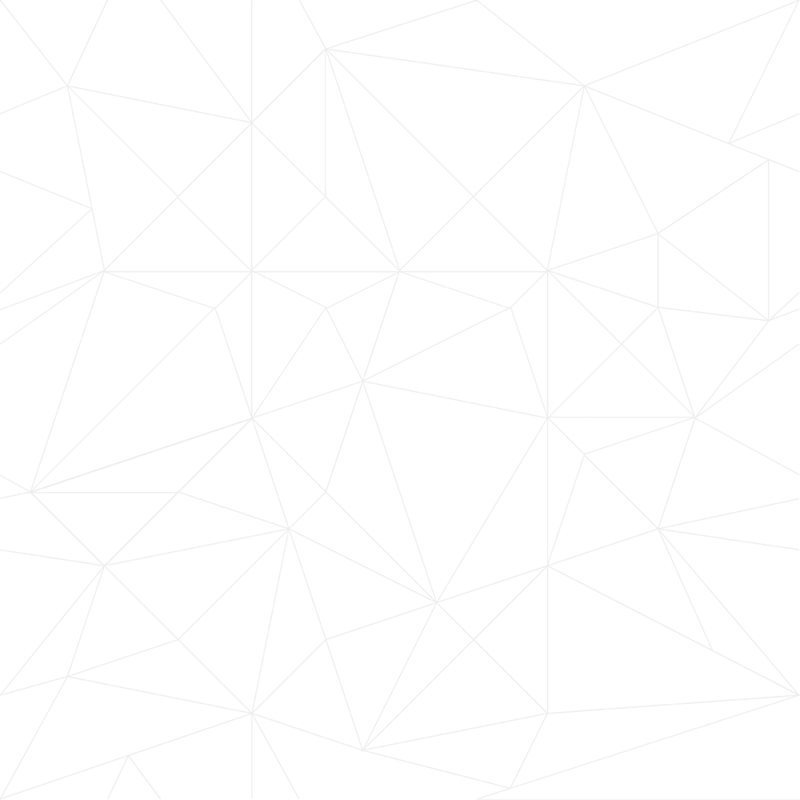 The cornerstone of the identity is the triangle that snaps to a simple 9-module grid and serves as the anchor for text and images as well as to always isolate the 3M logo in the top-left corner. Because of the round execution of the “3” in the 3M logo, a triangle isn’t the first shape I would think of when I think of 3M and the logo animation at the end of the opening video reinforces that maybe triangles and that logo are not the most organic match. Nonetheless, as a device to structure a global identity, it’s both simple and striking, not to mention manageable and easy to prescribe in guidelines. 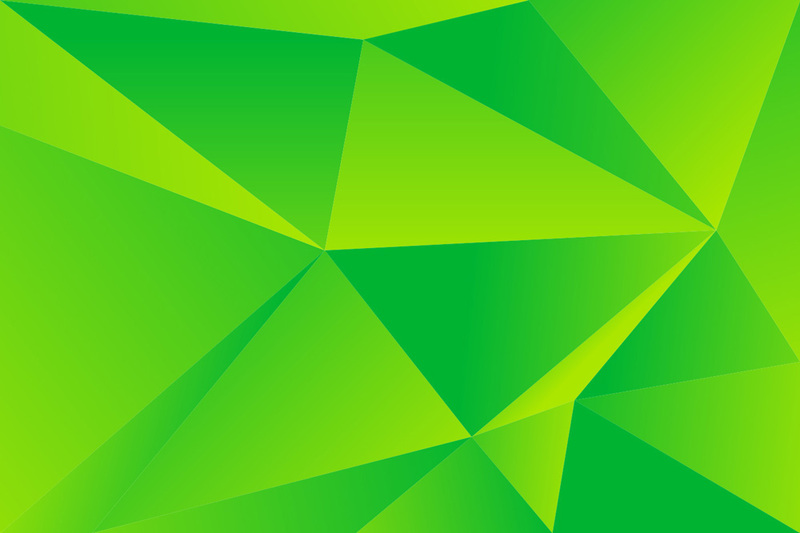 The triangle also forms the basis of a pattern that has a big presence as the background of the main website. It looks science-y for sure and the single-color, lighter version is serviceable but in general it feels force-fed into the identity as a big visual element. One of the most significant and bold changes to the 3M identity is the approach to typography - moving from using Helvetica Neue to a more unique and ownable typeface. We partnered with Lineto to create a custom version of Circular, called 3M Circular. This typeface is modern, more distinctive, open, recognizable and easy to read. Circular out of the box… I haven’t seen the full character set of 3M Circular but looks like it’s only the “3” glyph that got customized. Raise your hand if the choice of Lineto’s Circular is a surprise. 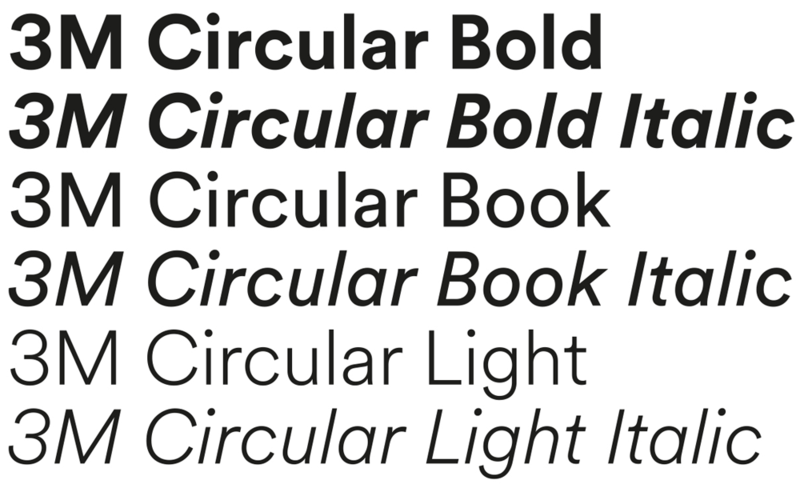 I feel bad for pointing out the ubiquity of Circular so much as it’s such a beautiful typeface but it’s bound to have the Gotham effect and run its course in about 2 - 3 years. Unlike its use in Alaska Airlines — questioned here last month — I think in this identity it makes perfect sense and works great with the 3M logo, the very contemporary layouts, and the overall crispness of 3M’s presence. The whole “custom version of Circular, called 3M Circular” may be overplayed as I think only the “3” was customized to match the structure of the logo. 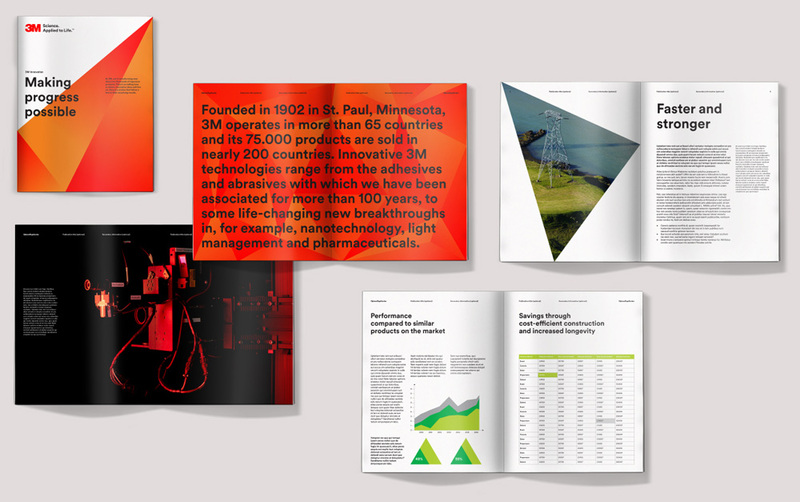 To reflect the wide variety and versatility of 3M, we carefully engineered an entirely new, vibrant color system and interactive tool to allow for easy implementation. This enables multiple opportunities for distinct brand expression across 3M businesses. The color tool looks fun. It’s a good move to allow any color to be used instead of limiting it to a palette, as it allows the system to play out at a large scale. Real-world use of the triangle on Instagram and Facebook. Instructional video of How to Get Sharp Paint Lines Every Time. The system doesn’t quite shine here. In real life — or at least in social platform life — the identity hasn’t really found its groove or feel like a dashing bolt of freshness. The stroke triangle over the photos looks like a social media manager that got bored one day and started putting triangles over photos and the opening graphic for the instructional videos manage to make the identity look like a bad PowerPoint presentation. It would seem I went out of my way to make this identity look bad but I always look at company’s Instagram and Facebook accounts to see how the identity gets deployed internally and, here, so far so bland. Probably, the identity plays out much more nicely in more controlled and less ephemeral print applications produced by the in-house design team and there is definitely potential in this identity. It’s very hard to design something around iconic logos and this project is thoughtful and packs a visual punch but unless you are in a business-to-business relationship with 3M I doubt we will see much of it in action, the way it’s meant to be. It will also either take a long time or some other magical adhesive innovation for this identity to become sticky and associated with 3M. Established in 1902, 3M is a science-based, global innovation company, producing literally thousands of products for both consumers and businesses, from ubiquitous brands like Post-it and Scotch Tape to more obscure things like compression wear or reflective tape for cars. 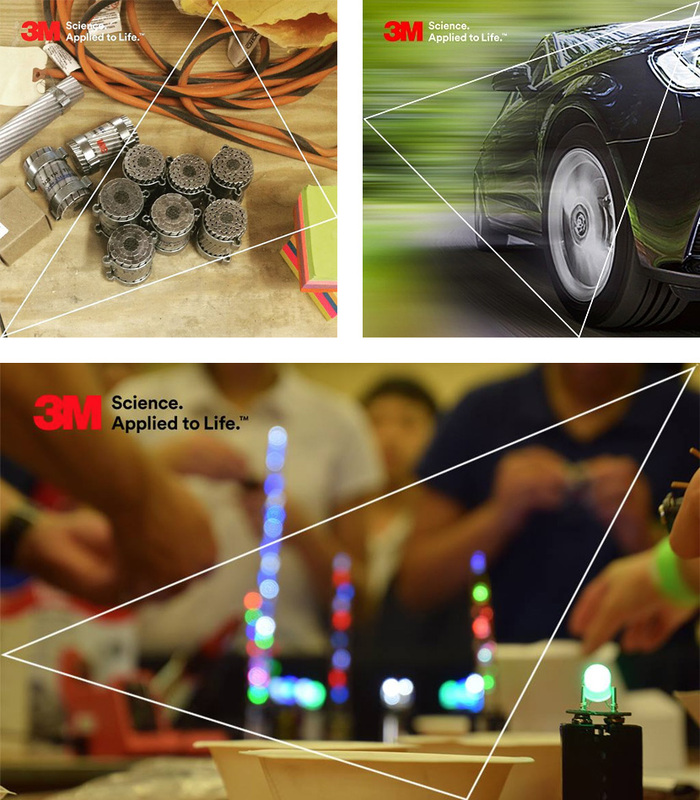 3M has nearly 90,000 employees in 70 countries and had global sales of \$31.8 billion in 2014. You know, just your typical mom and pop operation. Through 2015 3M has been phasing in a new global identity — logo untouched — designed by Wolff Olins.